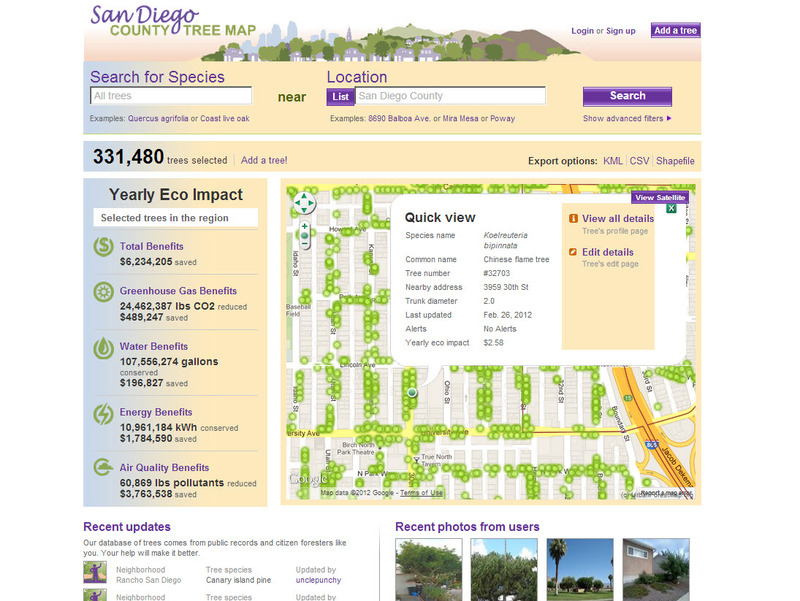 This open source software is designed to help cities catalog their trees through crowdsourcing. The San Diego version has more than 331,000 trees shown on the map with details about their species, size, and economic impact. The Grand Rapids treemap has over 17,000 trees pinpointed. Clearly these were cities with extensive tree databases in the first place who have brought this data into the opentreemap system so that it can be updated and maintained, and most importantly shared with the citizens. Very interesting concept! The Opentreemap software is available from an innovative GIS application and software design company Azavea.